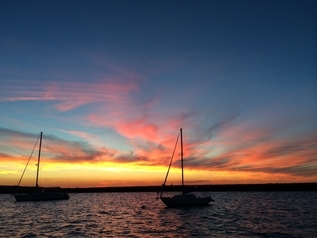 House membership provides a low-cost introduction to Glen Cove Yacht Club. Several activities are available to those interested in learning more about boating. Our July 3 House Member Sail is a great opportunity to get on the water with a boat owning member! Access to moored boats is by the club’s launch, or by dinghy. Launch: The launch is operated by a driver hired by the club and operates evenings and weekends during the mid-summer season, and limited weeknights and weekends during the off-peak seasons. The Launch Services page shows the operation times. The launch operates when called, either by horn or VHF radio, for pickup from moored boats. Dinghies: Members can access their boats at any time by dinghy, either club-owned or personal. This is useful for access when the launch is not running. Club-Owned Dinghies: The club maintains two dinghies padlocked at the end of the floating docks, oars for each are kept inside the clubhouse. Members are welcome to use these to access their boats at any time but they must be returned to the dock right away, keeping them available for other members’ use. Privately-Owned Dinghies: Members are welcome to rent a slip on the dinghy dock or a dry storage spot alongside the clubhouse for the season. Dinghy dock space is limited and dock assignments are made on a first-come first-served basis when paying annual dues. Most members own their own moorings, but a limited number are available for seasonal rentals from an independent contractor. For member-owned moorings the Club has a mooring policy that gives information on location, adequacy, maintenance and disposal of moorings. (See Document Library below.) A typical mooring consists of a mushroom anchor, approximately 10 – 12 lb per foot of boat length, a bottom chain of length equal to 1.5 times maximum water depth (20 – 25 ft at high tide), a swivel, a top chain equal in length to the water depth, a mooring ball, pennant and pick-up buoy. Owning your own mooring requires maintaining the mooring and installing a winter stick in the off season. The condition of the equipment must be verified on a routine basis, which means at least every three years a mooring should be lifted and the chain and shackles inspected and replaced as necessary. Generally the bottom chain remains in good shape while the top chain deteriorates at the mud line. The Club maintains an L-shaped set of floats, 80’ on the long south face and 50’ on the shorter west face. Members are welcome to bring their boats to these floats as space permits for a limited time, maximum of 45 minutes, to pick up/drop off a club-owned dinghy, passengers and supplies, and to wash off your boat. Boats may not be left unattended nor remain for extended periods or overnight. There is a water hose on the dock; limited 110V electric power is available. 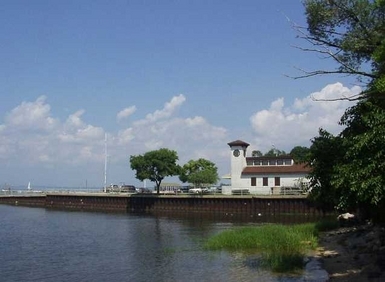 Glen Cove Yacht Club maintains a small but quaint clubhouse which is available for members use at any time. Each member is provided with an electronic key FOB for entry if the club is closed. Inside is an open seating area complete with a half-hull bar, kitchenette and rest rooms with showers. There are a few club-sponsored events during the course of the season to which all are welcome.